Non-slip divider baby plate with attached silicone placemat for extra grip. It is great for portion control, minimizing mess and still small enough to fit comfortably on most high chairs. Round suction baby bowl which grips to your highchair, ensuring no more accidental spills. Silicone bibs are easy to clean and adjustable with a large pocket that stays open for those super messy eaters. I could think of Nothing. 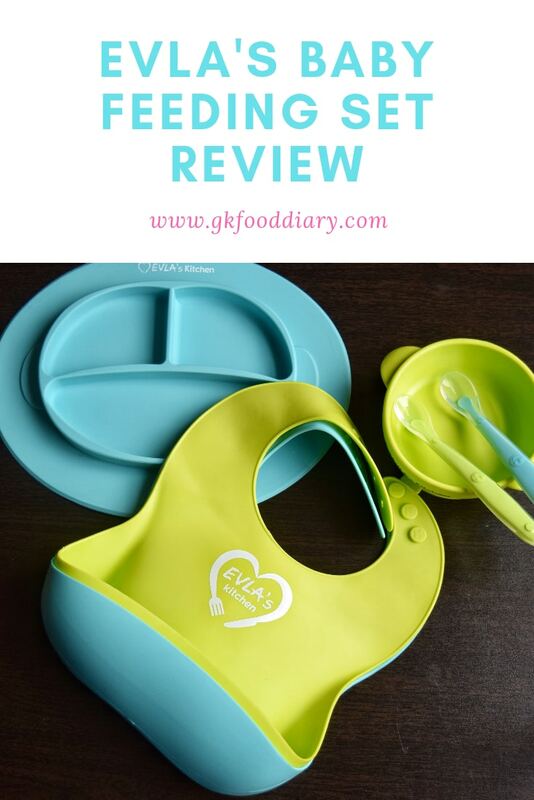 The Elva’s baby feeding set has everything needed for beginning solid foods for a baby. It is a great product to help your baby learn how to feed herself without the constant mess. The suction bowl is pretty strong, and your baby wouldn’t be able to throw the bowl on the ground. Even my preschooler has tried her hardest to lift the bowl! It is perfect for using on a high chair or any table. The compartments on the plate are great and high enough to help your baby or toddler learn to scoop the food onto his spoon. They fit nicely in a table, so little hands don’t push them off the table. There are two spoons with soft tips. The spoons are very soft and durable. My preschooler loves the bright green and blue color bibs. The silicone bibs with the large front pockets that make sure that less food ends up on the floor! No more huge mess! Everything is dishwasher safe making this set perfect. You can also hand wash with soapy water, and it is super easy since the feeding set is made of silicone. Another bonus is these fit comfortably into your bag for travel! Overall I’m pleased with this product! Great product and with the price. Yes, definitely to all the parents of babies/toddlers. If you are having a hard time during mealtimes due to the mess, cleaning, and laundry, Go ahead and buy it today. 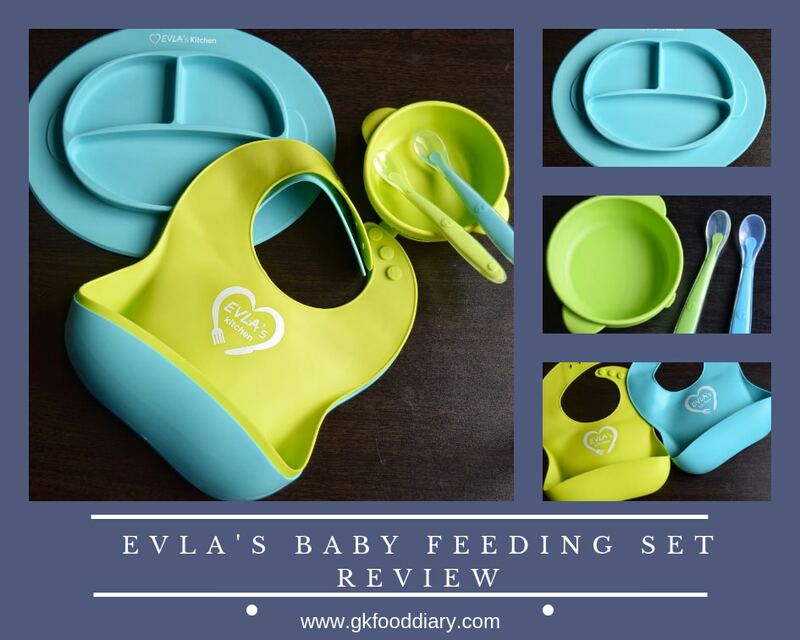 EVLA’s provided me with these baby feeding set for an honest review. I was not encouraged or compensated to write a positive review. All opinions are my own.